February 2nd is often linked to the holy day, called: Candlemas or Imbolg. It marks the coming of spring, the returning of life to the earth, and the promise that winter will be over soon. It reminds us of the power in sacred purification after the long, dark days of winter. As the Earth is renewed, so to shall we be renewed. The Sun quickens the land into life, renewing and rebirthing the flora and fauna. This wave of rebirth inspires and illuminates. Drawing on the mystical qualities of light we find the pathway, and the power to release the old and germinate the new. We honor the renewal of the land by expressing gratitude, and blessings for the tools of the harvest, the animals who helps sustain us, and the triumphant vegetation that has pushed its way through the white blankets of snow. Because of this the Crocus Flowers are often depicted in Candlemas ceremonies, as they are among the first flowers to bloom. The early Church considered Candlemas the Feast of Light. Candles were blessed for the coming year. Then candles would be lit at the altar to honor the great Virgin Mary. 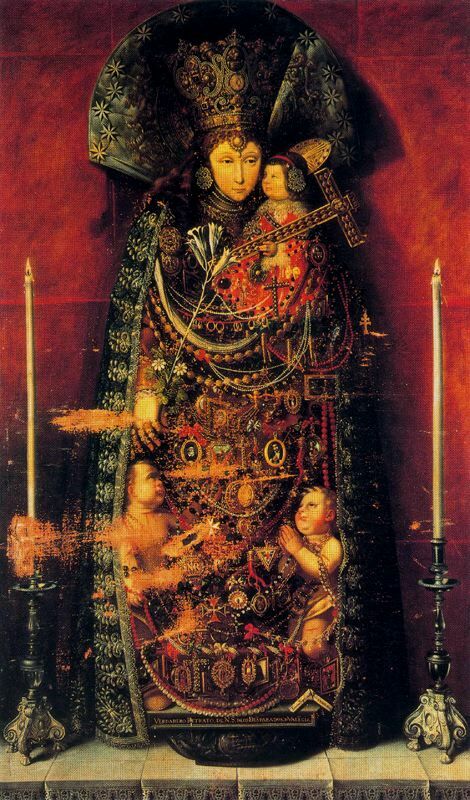 This was considered her Purification after the birth of Christ. 40 days following and she could renter the Church to present Jesus at the Temple. A Polish legend tells that the Mother of God of the Blessed Thunder Candle waits and watches at the edge of winter villages. She guards the helpless from the dangers of ravenous wolves, and other creatures by shinning the light of her candle upon them. However, the tradition of honoring the great Mother is ancient, and didn’t begin with the early Church. We see the great goddess Brigit, later to become, Saint Brigit is also honored at this time. She who is the patroness of healing fire (again the light), of poetry, and the phases of the moon. Her statue would be carried to the sea in a procession, then bathed in the cool waters, and brought back to her scared space. Candles would be lit in her honor to ask for divine grace through the coming year. Another tradition comes to us from Ancient Rome, called: Lupercalia, which seems to originate from an earlier festival: Februalia; another festival of ritual purification, and purging. Some connect it to the lighting of candles for the Earth Mother to call back her daughter from the depths of the Under World, thus returning the spring. Again, another light and rebirth association. Note: The word February comes from the word Februalia… Named after this very festival! Another tradition as to choose a young girl or maiden to represent the coming of spring, and crown her with a crown of foliage and candles. The candles were to represent the wheel of the year, the radiance of the sun, and the turning of the seasons. Some wear the crown, and others leave it near an altar, or in a space as a sign of respect. Regardless of what tradition you follow, Candlemas is the time to bless candles for the year to be used in prayers, healing ceremonies and petitions to the Divine. White candles can be gathered at an altar. Cleansed and dressed with sacred oils. Then prayed over to be blessed by the light of the Divine. Activate your personal blessing at Candlemas through meditation and peaceful contemplation. Gather together beautiful white and blue flowers… Whatever kind you can. Place them on your personal altar, the kitchen table, or a prominent room in your home. This is a sign of gratitude and honor for the blessings in your life, and what will come with the newness of spring. Take a few minutes to close your eyes, and find the rhythm of your breathing. Allow yourself to go into your body… Relaxing all your muscles and easing the turning of your mind. Let the thoughts float in and out. When you find yourself lulled into the tranquil energy of the room begin to contemplate the worn-out thoughts and ideas that you’ve collected through the winter. See them in your mind as heavy shadows. Now envision a bright light emerging from the shadows completely dissolving them away. Send that light out to those you love, and to the world at large! End the ceremony by lighting a white candle for blessings upon you, and anyone whom you wish to name. You can even light a candle in each room of your home, to dispel the heavy energies that have accumulated through the year; a type of spiritual cleansing ceremony that invites new opportunities and intentions into your life. This is nothing more than a brief introduction to the time of year. I urge you to do more research if you are inspired by this tradition. Or simply partake in the Lightning of candles and honoring the new! The light is there for everyone to dance in. 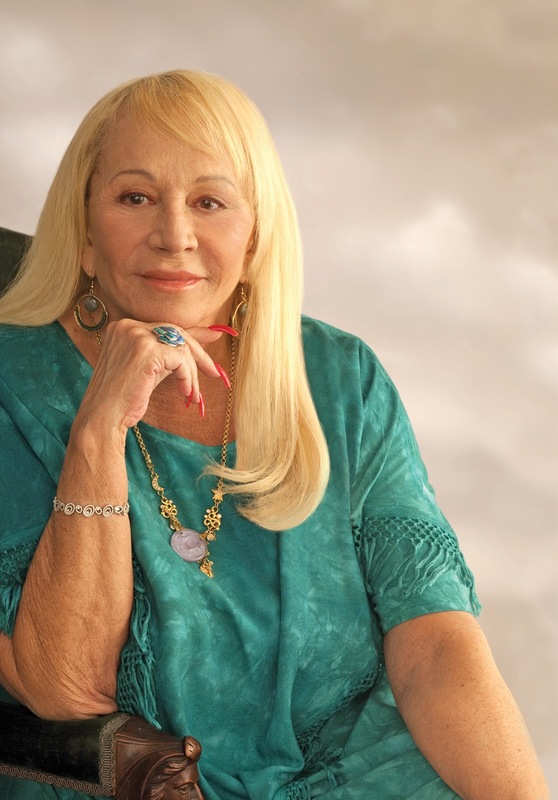 I was devastated to learn that Sylvia Browne passed away this morning. I slept horribly last night, woke up many times, and eventually found myself sitting up in bed with a pounding headache. The day began with an “off” feeling that persisted thought the course of the day. When I finally heard the news about her passing it all made sense! Sylvia has been a beautiful influence in many peoples lives, including mine. Her books, lectures and teachings have touched on so many deep and moving things. I know that I devoured her books when I was younger, and even now I reference her work in my own. Though some people have a negative view of her, I’ve always found her wit, candor and wisdom to be uplifting and insightful. I met Sylvia at one of her lectures when I was still in High School. Her warm eyes looked into me, and she pulled me closer and listen as I spoke. She signed my books and conversed with me… for those few minutes she gave me her undivided attention. I gifted her with a journal I had bound for her. A few months later I found a letter in the mail written to me from Sylvia, thanking me for the gift, the conversation and apologizing for the delay in responding. I will never forget that. My prayers go out to Sylvia, and her family. I am sorry for your loss, and I know we are all deeply saddened by the loss of such a legend. All of prayers are lighting her path back home. Here is a compilation of the “Kids Growing Up Psychic”series written by Shaheen Miro and Melissa Leath. Check out the articles below by clicking on the title/link! “Kids Growing Up Psychic” Series!! Experiencing the World with Your Psychic Senses, by Shaheen Miro. A spiritual cleansing bath is a fabulous way to melt away the day’s stress, and freshen your aura. Your aura is the energetic mirror of your physical body, as well as, the place where thoughts, emotions, and intentions are held. The aura is basically your energetic story. Read an Introduction to Spiritual Cleansing and Protection. Throughout the day you accumulate energy from the people and places you have encountered. Without releasing, and protecting yourself from these blocks you create more energetic obstacles in your life. You may find you feel lethargic, moody, and off kilter. If you feel ungrounded, and out of your head it is a sure sign you need a good spiritual cleansing! As the day goes by you are walking through bubbles of thought forms, emotions, and negative energies that people are spewing all around. This is a natural by-product of daily living, and something that sensitive people (empaths) know far to well. Here are three of my favorite baths for spiritual cleansing. They are simple and effective! Baking soda is a common household item that packs a powerful punch of spiritual cleansing. A natural alkalizer and detoxifier baking soda is great at pulling out blockages from the aura. Returning your energetic vibration to something more neutral. Leaving you with a sense of peace, and equilibrium. This is especially helpful when dealing with exhausting people, or situations. I find it combats feelings of anxiety and depression very well. Simply run a bath of warm water that feels relaxing to the touch. Add a cup of baking soda to water. As the water runs the baking soda will begin to dissolve neutralizing the water’s acidity, not only leaving you feeling energetically level, but also leaving your skin feeling silky smooth. Apple Cider Vinegar is another great remedy for energetic blocks and releasing psychic toxins. Soaking in Apple cider vinegar is beneficial for easing skin issues, detoxify and restoring its natural ph balance. It is also rich in vitamins and minerals which can be absorbed through the skin. The onset of a cold can often mean energetic disturbances in the aura…taking an apple cider vinegar bath will help the cold run its course, and move the energetic debris out of your system. Again, you will run a warm bath that is relaxing to the touch. Adding 1-2 cups of Apple cider vinegar to the bath water. Slip into the tub, easing your mind and relaxing. Allow yourself to become completely embraced by the experience. You can visualize the energetic toxins, and debris being drawn from your body/aura, into the bath to be neutralized. Be sure to allow your head to be submerged for a few moments. The base of the head/back of the neck is one of the major places we take on stray energy. You can also use the above affirmation, or an appropriate prayer during this bath. If the smell of Apple cider vinegar is offensive to your nose then add a 5-10 drops of peppermint oil to the bath. Peppermint is also a detoxifier, and it uplifts the senses… Easing the mind and emotions. Sea Salt is a traditional bath for spiritual cleansing. Salt also has a detoxifying quality that will draw out impurities in the energy bodies. You can substitute sea salt for Epsom salt which is high in magnesium, easing aches, pains and the muscles. Run a warm bath adding in a handful of sea salt. As you soak begin to imagine the tube filling with pure white light. This is the healing light of the Universe. Imagine any dark, and negative vibrations lingering in the aura being absorbed by this light. Envision these blocks being replaced with nothing but positive intentions. Salt can dry out the skin so you may want to dress yourself with a rich oil after your bath. You can dress yourself with a mixture of olive oil, and lemongrass essential oil to nourish the skin, and charge the aura with a magnetic quality. Lemongrass oil is an old botanical used for attracting prosperity and good fortune. Adding all 3 ingredients together will create a wonderful spiritual cleansing bath!! Or combine them as you like. Remember to use an affirmation, prayer or visualization. After bathing spend time in meditation, prayer, or just relax for the evening. I like to make a warm cup of chamomile and valerian tea to calm my nerves and promote sleep. Turn in early for the night, allowing the healing process to continue into sleep. If you are feeling especially heavy and blocked use a spiritual cleansing bath for 7 consecutive days. I want to talk about psychic and spiritual cleansing for another individual. This is a subject that has come up a lot in recent emails, and comments so I think it is important to address it here. When working for other people in a psychic/spiritual sense there are many layers to the process because you are working with energy, more specifically, the energy surrounding the individual. In order to have a truly solid working the person should be open, and receptive to the cleansing process. If they aren’t open to the process, then they most likely aren’t ready to release whatever is around them. This does not mean that a cleansing can’t be performed. On some level their higher self may be receptive to this wave of good energy, and willing to let it in. But when people are in psychic trauma they usually oppose whatever has their best interest in mind. So if you are performing a cleansing on someone who isn’t aware of this, you must send it out with the intention that they will receive the good energy if they would like! With all rituals you are trying to create an energetic and conscious shift through the use of symbolic language and concentrated energy… this can be done in many ways, some simple, and some elaborate. But the process of spiritually cleansing another person can be very simple. All you will need are a few tools of intention. To begin we will work with a few candles, as they are powerful forms of concentrated and focused energy used by many religions and paths throughout history, and the world! Read more about candle’s here! You will choose a candle that represents the person being cleansed. This candle is often called an, Astral candle, it represent the person on an energetic level. Often times this candle will be in the color associated to their astrological sign. You can find this information below. You will need a black, or white candle. This candle will be the magnet that attracts and holds whatever negative energy and attachments are connected to the person being cleansed. This is essential a psychic vacuum, much like an egg is used in spiritual cleansing. Read about Limpia with an Egg here. You will also need a blue, or pink candle. This candle will be filled with an intention of love, positive energy, health and Universal blessing. Whenever you are performing a spiritual cleansing you want to fill the spaces that are cleared away with good energy! Move something in time and space, and something else must take its place. Gather together your 3 candles, along with sea salt, spring water, sweetly scented incense, and a lighter. You can also have a piece of paper with the persons name written on it, or a photograph of them. This is an energetic connection to them to help focus your intention. Find a space where you will not be disturbed. Place all of your tools of intention on a table, tray or in one area of the ground. Make sure you have proper candleholders, a pitcher of water nearby for accidents, and that nothing will be in the way of the candles as they burn. You may want to place them on a plate so you can easily move them to burn after the cleansing. When you are ready to begin find a seated position on the floor. Close your eyes and begin to breathe deeply. Let your breath become rhythmic… in and out. Feeling your belly expand, rise, and then fall. Lulling you deeper into a meditative state. Allow your mind to unwind. Your thoughts to disentangle. Relax your feet, your legs, your hips, and your core. Relax your chest, your shoulders, neck and arms. Let your head fall down between your shoulder blades. Let it hang for a few moments just feeling a good stretch. Keep breathing. Keeping your rhythm. Now begin to visualize yourself being surrounded by a beautiful bubble of white light. See it glow brightly, growing around you and forming a beautiful protective barrier. This is the white light of the Universe surrounding you in protection. Around this white light visualize a beautiful blue light. This blue light glows brightly with a gentle hue that evokes a feeling of love, and healing. This is the healing light of the Universe adding to your intention. Now you can begin your intention for cleansing. Mix the sea salt, and spring water together. This is a powerful cleansing agent. Sprinkle the salt water around yourself, and around the space. Sprinkle it over the candles, and the other tools you have gathered. Now light the incense. Let the smoke waft around the space, and around your body. Let it lift the energy in the air, and create an atmosphere of power, and sacred healing. Take your 3 candles and waft them through the smoke of the incense to release any stray energy held within. Hold in your hands the first candle, the astral candle. Wash it gently with salt water, allowing it to cleanse and bless the candle. Now with the candle held in your palms begin to concentrate and visualize the person begin cleansed. Think of them as they are now. Their personality, their physical characteristics, their voice, their movement. Their mental and emotional state. Intend that this candle represent whomever you are cleansing. I affirm that this light is (name the person). Now hold in your hands the second candle, either black or white. Wash it with salt water. With the candle in your palms begin to focus on the person being cleansed. Focus on their condition. See all the pain, the struggle, the sorrow, the attachments and limiting energies going into the candle. Intend that the candle is a magnet that attracts and absorbs the heavy energy surrounding whomever you are cleansing. As this candle burns down, so does the negative energy surrounding (name the person). Take the last candle in your hand, blue or pink. Wash it with salt water. Hold it in your palms and visualize it glowing with a beautiful light filled with love, blessing, and healing and positive energy. See this candle as a beacon of blessing, shinning into the life of the person being cleansed. I intend that as this flame burns bright it fills the life of (name the person) with love, happiness, healing, positive energy and blessing. This is the light of the Universe smiling upon him or her. Take some time to allow the candles to burn, and just breathe into your intention. Continue to visualize the power behind the candles. See the person being released of all negative energy, and being blessed. Visualize them being surrounded by the white light of protection, and the blue light of healing. This cleansing session is for the highest good of (name the person). This intention is his or hers to freely accept. Allow the candles to completely burn down. If, for some reason, you have to extinguish them before they can burn down, do it with a snuffer! Place the remaining stubs in a paper bag, sprinkle sea salt over it, and dispose of them in the trash. This spiritual and psychic cleansing ceremony can be used for another person, or you can use it for yourself. The choice is yours. Just change the wording accordingly. Make sure you feel confident about performing a cleansing like this. Listen to your intuition, and evaluate your own energy levels! This is a general source of colors. Trust your intuition with this as well. If the person has a favorite color, use that. If you don’t know their zodiac sign, or you cannot obtain that color candle use white. We’re back!! Happy New Year… and get ready for lots of new information with the “Kids Growing Up Psychic” Series . The best way to be empowered is to learn and understand about the thing that scares you. So we’ll talk about Energy, since that is what the world is made of. Energy is simply energy. Energy is always energy. Energy can take the form of many different things: clouds, houses, people, Jell-O, even thought-forms. It also can be the way those in the spirit world show themselves to us: such as spirit lights and shadows. Here is an example of how we sometimes view energy: If someone comes into your house, and you feel strange and uneasy around them, then you usually will say, “There’s something wrong with that person,” or “I get a bad feeling around him.” It depends on how we feel about the person as to whether we think it is good or bad. This is only a judgment. It is not how the energy is. It could be that the vibration of that person is just different from yours, and that is why you feel something. But it does not always mean that the person is bad. The same thing can be said about other things in life, such as paranormal experiences. The reason I say that is because our younger children have a difficult time relating to us in words what they see or feel. Describing their experience is still very limited, and they have trouble finding the correct reference for the situation. So, if they have seen a scary movie, or ghost story, then they know the feeling of fear. It is a quickening, or tense feeling. Even though what they are seeing is connected with angels or spirit guides, there is no reference to it. So the only thing they can refer to is the term “ghost.” And that might be what they say and believe. (Remember, ghosts in movies are usually scary!) Something that originally did not present itself as negative becomes scary. I see this happen in many situations. The same is true when dealing with spirit energies or unusual vibrations of any kind. They may be positive spirits. But they may seem scary to your child. Sometimes, children remember the scary movies and relate what they see to something negative. Then their imagination will create more of it. It is real to them. It is very common that the situation is confusing or misunderstood. And the child doesn’t really know how to react to it or describe it. Talk to your child about being powerful, just like the scenario about the playground. Each person is “in charge” of what goes on around them. You have a say-so, whether you want to be around good energy or bad energy. Your child needs to know that they are empowered to be in charge of that. 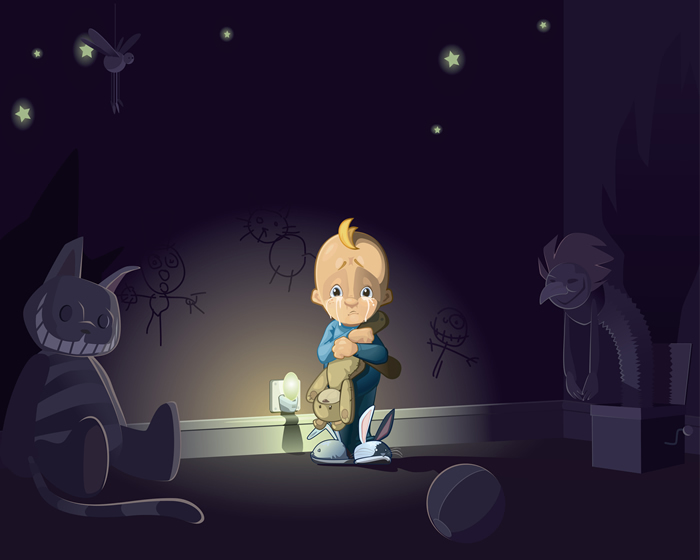 Even if they are good spirits, but your child is scared of it, or just doesn’t want it around them anymore, they have the power to do something about it. It is important to be positive and stay calm. Your child can say something like, “I don’t want to see you at night anymore. Go away now. Leave me alone.” They should say it very firmly, but in a nice way. If the child is too small, then the parent can help. But remember not to be aggressive or angry about it. Through conversations with others, I have found that children sometimes out-grow seeing spirits. At least, they become less intense. I think it has to do with being involved with the worldly things of life. Other children embark on a wonderful connection and relationship with the spirit energies. This would be similar to conversations with angels or loved ones in spirit, which I consider normal. About a year ago she complained that there was a little girl — she described her in detail — in her room, wanting to talk all the time. This was the first I saw of it really bothering her, but she is a pretty tough kid, and it didn’t take a long time for it to stop affecting her. She said she taught herself how to make it stop, and that’s good enough for me! 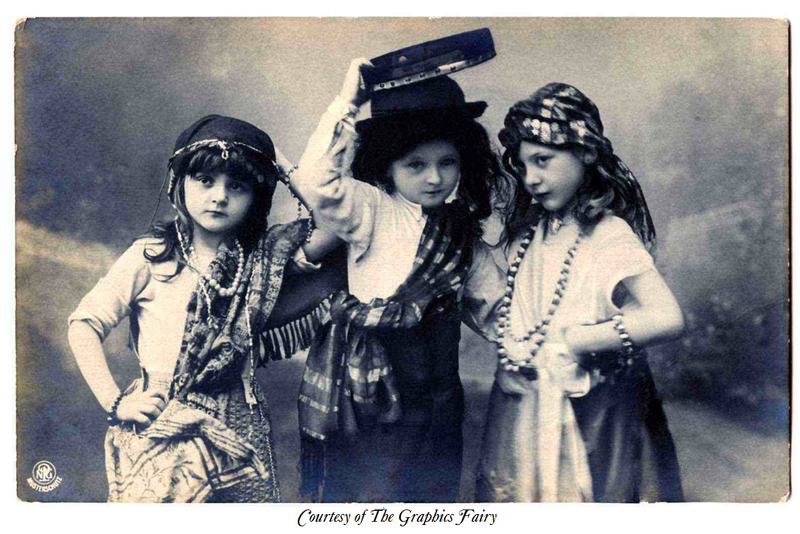 It is hard for some psychic or empathic children to sleep at night. Some of them are sensitively attuned to different types of ethereal sounds. It helps to try sleeping with the television or radio on, but with the sound level very low. This helps quite a bit: it creates a droning sound that masks the unnatural sounds, and gives the mind something else to listen to. Spirits are active at night, and the mind is very receptive after the day comes to a close. Being psychic can be energetically draining if you don’t know how to close up your energy field. Psychic and empathic children should learn protection techniques and intentions if they need to. They “pick up on” (or take on) other people’s energy and emotions. This can happen in the grocery, mall or at school. Before going out in public, have them imagine themselves in a bubble surrounded by white light – it can filter the negative stuff, and help them feel safe. Taking on everyone else’s feelings can make them feel anxious, especially somewhere crowded like a department store. Many kids dislike going to places like shopping areas or large functions for this reason. It is important to pay attention to what your children say. Take them seriously. Do not disregard what they relate because they are young. For instance, if they do not like someone or a specific situation, there is usually a good reason. They can sense someone’s energy and intention. Let them know that they are in control of the things that affect them. They might feel they have no control over what they are experiencing. They can ask their angels or guides not to show them visions they cannot do anything about. If your child reports seeing a ghost or spirit then validate the experience so they will continue to trust their intuition. There is nothing to fear. In fact, this event can provide the perfect opportunity to bring better understanding about the unseen realm and the concept of physical death and transition. You could research and read about it to learn more, together. You and your family should agree if a spirit should leave and not come back. You can lovingly set boundaries with the spirit. Simply call on the angels of light and love to lead the spirit to a peaceful place in the afterlife where the soul development can continue. I am now a 40 year old woman and mother, and my spiritual experiences have helped me to understand my own daughter. When she was very little she could see people or ghosts in her room. I was able to be understanding, consoling, and better equipped to help her comprehend, since I understand about seeing things others did not. Your children will feel very empowered and confident when you support them during psychic events. You do not have to believe that they are really happening. But it is important for you to acknowledge that your child believes it. A wonderful relationship can be forged with your children by working with them during these times. Spiritually cleansing yourself after a break-up will shift your life into a much better direction. You will feel empowered, uplifted and renewed. The process will take time. The more open you are to the healing the faster things will move forward. After any kind of ending or loss it is important to spiritually cleanse your home. Your home is a reflection of your inner state. If you begin making changes in the home, the result will be intense internal shifts. This is the kind of healing traction you need to raise your vibration and move yourself forward. Remove things that remind you of the past. The person. The break-up. You want to get rid of anything that will keep an energetic connection between you and your ex. Sometimes there are things that hold memories that you just can’t part with, either it is too sentimental, or they are essential to your daily life. These things link into your energetic pattern and sway where you are vibrationally. If you must keep it try tucking it away in a box for safe keeping until you are in a neutral place, or update it in some way to make it “yours” again. Spiritually Wash your home. You can make a simple wash with spring water and sea salt. You can add vinegar to the wash or lemon juice. A touch of rose water is always good. You can even make a strong tea from white sage and add it to the spring water. Imagine the wash being filled with vibrant white light. Wash the entire space. Walls, floors baseboards, windows, all objects. Anywhere dirt and dust collect, energy will collect. Smudge your home. Use sage, cedar or pine to smudge your home. Make sure to smudge in rooms where you spent most of your time together. Smudge in areas that are cluttered, or cramped. Make sure to get under tables, chairs, and in closets. The smoke from the smudge will clear away unintentional energy and lower vibrations that are left over from the relationship and break-up. Light blue and white candles. This brings uplifting energy into the space. You can say a prayer, or ask for your guides to surround you. See the home being filled with white light. Blue is the color of peace, calm and blessing. White is the color of purity and Spirit. Fire attracts positive vibrations. Redecorate! Remove old, worn-out things that no longer serve you. Purge the space of the unnecessary. Move furniture around. Repaint if you can. Add something new and inspirational to the walls. Anything that will signal to your mind and spirit that you are moving in a new direction. This will shake up the normal energy pattern in the space, and allow it to re-align with your new state of being. Be ready for big changes to take place. If you are persistent and consistent with your process magic will start to happen. The more you create an atmosphere for the life you want, the easier you will get it! Did you see Spiritual Cleansing After a Bad Break-up Part One, and Part Two? Sending you lots of good vibes! In my personal practice I use tea for it’s therapeutic, medicinal and energetic properties. Herbs come from the earth and have a unique energy pattern that can be incorporated into our own to create dramatic shifts. Recently I discussed how to use teas to repair the aura. Tea can also be used for energetic protection. Just like visualizing white light around you, these teas will activate an energetic barrier that strengthen and sustains your aura. Ginger is a potent root that has a good kick of flavor. It’s used medicinally to help digestion and to jumpstart your immune system. Ginger makes a great base for most protection teas. Start with a good piece of fresh ginger root that you can grind into a teapot with some hot water. When using ginger it’s good to start with a little and keep adding to it. Some people find it too strong in large doses. Use it sparingly. Alone, ginger has a very grounding affect. It pulls the aura in tightly so that nothing is hanging out! And adds a good dense layer of energy around the outside boundaries. For one pot of tea add 2-3 teaspoons of ground ginger root, to 3 cups of spring water. Sage is another herb that has become a staple in spiritual cleansing and protection. Sage is best known for its ability to expel negative energy. When used as a tea, sage releases negative energy and fortifies the fibers of the aura. When sage and ginger are combined it grounds and centers, which helps to keep a clear energy field and adds a boundary of very solid protection. For one pot of tea add 2-3 teaspoons of ground ginger root, one cup of sage leaves, to 3 cups of spring water. Cinnamon is a fiery bark that carries a punch of energy. This tends to be a little more aggressive than the more grounded energy of ginger, but the two compliment each other well. When used a tea, cinnamon will add heat to the Aura and create a shield of “Don’t Touch Me” energy! Add ginger to that mix and you have a double layer of protection. One that blazes bright and one that is very solid. For one pot of tea add 2-3 teaspoons of ground ginger root, 3 cinnamon sticks, to 3 cups of spring water. Let the tea steep for 5-10 minutes before drinking. As the tea steeps pray for divine light to bless the water. You can call on any form of Divinity you feel connected to. Experiment with the above combinations. Each herb could be used alone, or all together. These are just suggestions. Make sure to do your research before ingesting any herbal tea to see if you are allergic or if you have any health issues that may be affected by these. I hope these techniques offer something for your spiritual practice! Please, let me know if you have any other questions. DO NOT drink herbal teas if you are pregnant. ALWAYS consult a doctor, and research the side effects of herbs before taking them internally. I am NOT a doctor, nor am I liable for your health. These recipes are for your personal use.